Frequently Asked Questions (FAQ) – Vintage Crop Insurance Agency, Inc.
Have reached the third season after grafting for all varieties. Many varieties of grapes are listed for each county. You must insure all your acreage of a particular variety in a county at the same coverage level. However, one variety can be insured and not another. For example, you could insure all your Chardonnay and none of your Merlot vineyards. Assume 65 percent coverage, 100 percent price election of $550 per ton, an average yield of 6 tons per acre, Chardonnay variety in San Joaquin county, and 100 percent share. Price used above is for example only. 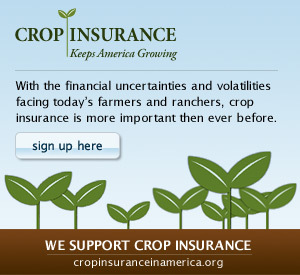 Contact a crop insurance agent for current information. Grapes are insurable in Alameda, Amador, Calaveras, Colusa, Contra Costa, El Dorado, Fresno, Glenn, Kern, Kings, Lake, Madera, Marin, Mendocino, Merced, Monterey, Napa, Nevada, Riverside, Sacramento, San Benito, San Joaquin, San Luis Obispo, Santa Barbara, Santa Clara, Santa Cruz, Solano, Sonoma, Stanislaus, Tulare, and Yolo counties. Grapes in other counties may be insurable by written agreement if specific criteria are met. Contact a Vintage Crop Insurance agent for more details.